Our Job is to be Faster to Any Disaster. Our job is to get to you fast if a water damage occurs in your home or business. Time becomes a precious commodity when disaster strikes your home or business. Waiting for help is stressful when it is your home or livelihood on the line—you need it right away. Nobody understands a fast response like we do, which is why responding faster to any size disaster is more than just a slogan to us. When it’s your belongings or business on the line, time is not a luxury you have regarding disaster cleanup. This is especially true when water damage has come into play. 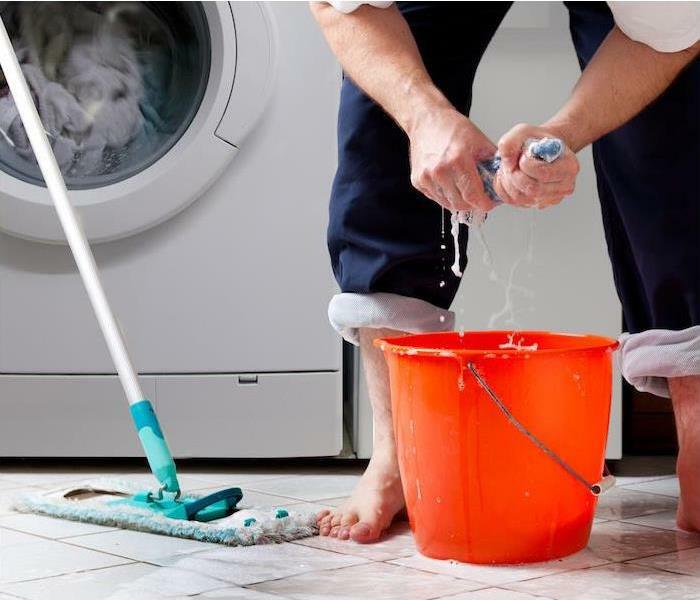 It only takes mere minutes for water to spread throughout your property, where it will saturate everything in its path. The walls, the floors, upholstery and your belongings are fast casualties of water. 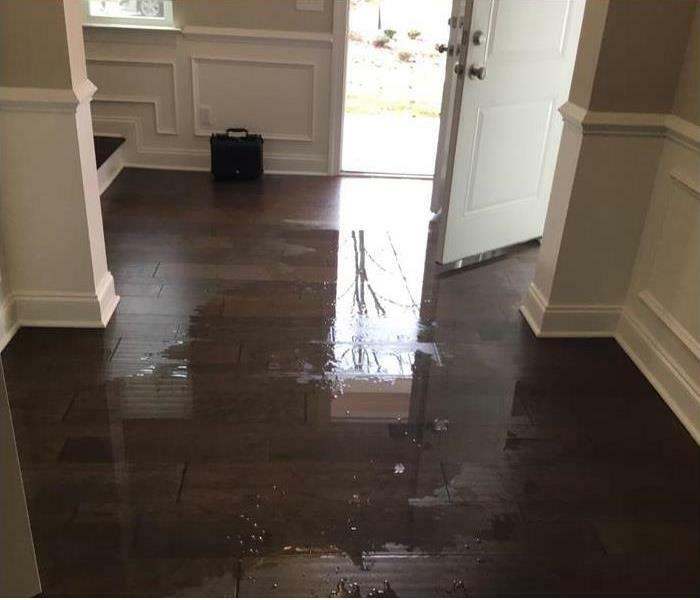 Water damage that is left unchecked for over a week can lead to a dramatically increased restoration time and costs and can also impact structural safety. Being a locally owned and operated franchise helps us be close by and ready to respond whenever the call comes in. Business owners have plenty of safety factors to take into consideration regarding risks to their business, staff and visitors. Fires are one of those risks to your business that you need to spend a little extra time planning for and preventing. Of those causes, intentional, exposure, and electrical distribution and lighting equipment were the cause of the most property damage with 20%, 18% and 15% respectively. 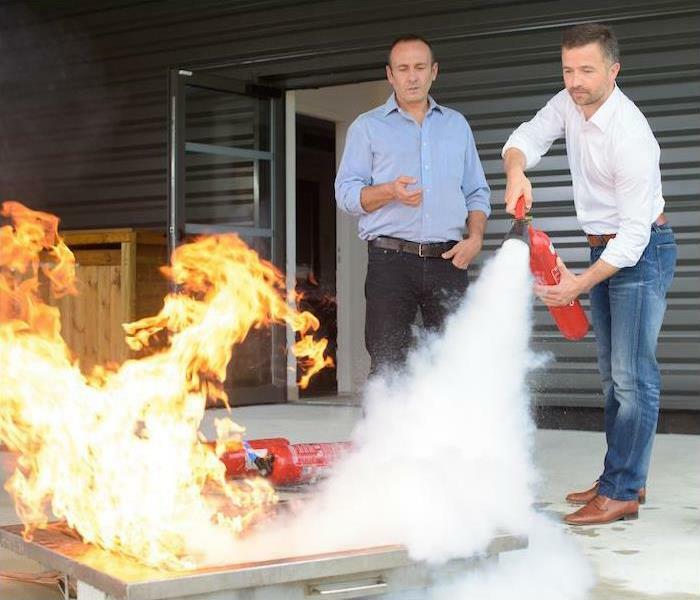 There are many steps you can take to protect your business from the risk of fires. By focusing on fire risk assessment, fire prevention and staff education, you can work toward reducing the chance of a fire breaking out. Assess your risk of fire hazards. There are some local governments that may offer a visit from a fire marshal to help you identify these risks and provide guidance on creating your fire prevention plan. Have the right fire protection equipment in place, which would include an automatic sprinkler system, smoke detectors and fire extinguishers on each floor. Create a fire plan and review it with your staff on a regular basis to ensure everyone knows what to do in the event of fire. Conduct fire drills at least once a year to keep the fire safety protocol fresh. Take time to review evacuation plans and where the first-aid kits are. What is your Family's Weather Plan? SERVPRO of Greater Northern Charleston is Ready 24/7 for any weather related emergency you may experience. While we often receive advanced warning for some types of severe weather, there are also those times when severe weather manages to catch us off-guard. There are steps you can follow and safety tips to take that will ensure your family is prepared for just those severe weather occurrences. One of the most important ways to ensure your family’s safety in severe weather is to have an established family emergency plan at the ready. If your family already has an emergency plan, be sure to practice so everyone remembers what to do! 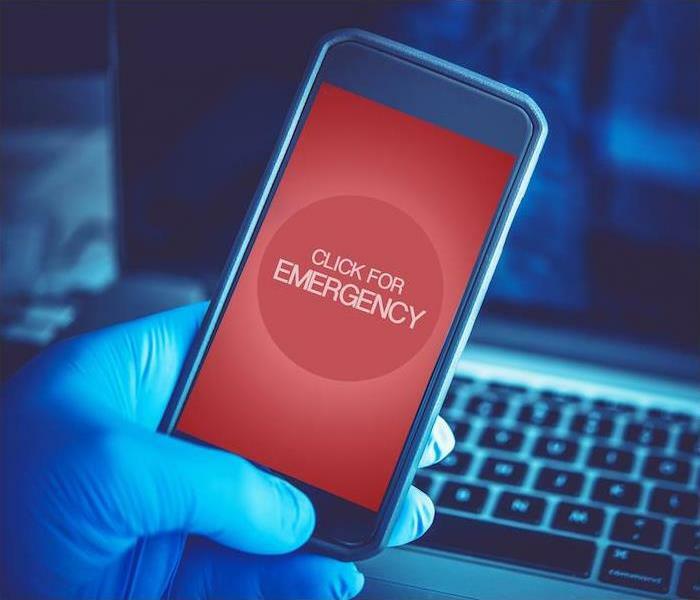 Thanks to today’s smartphone technology, it is easy to receive emergency alerts and warnings on your smartphone through many weather apps. But if there is no smartphone available, you can still receive warnings through the radio or television. In areas where tornadoes are common, ideally, you’ll want to have a basement, but if that is not possible, then find an interior room on the lowest level that is away from corners, windows, doors and outside walls. Tornadoes are not the only situations requiring a form of storm shelter, and you can learn about more of the situations where they are necessary by visiting ready.gov. Put together a map of various evacuation routes and keep it handy in the event of hurricanes, floods or fires, which can force you out of your home in a hurry. Multiple routes are wise to have just in case one is impassable, and be sure to account for your pets and find out if there are places to stay with them along your route. You’re going to want an alternative communication plan for your family because reliance on cell phones can fail you in some circumstances. Cell phone towers can be damaged, phones could be lost or left behind, and phone batteries will not be able to be recharged if power is out. Put a family emergency communication plan in place and choose a safe meeting place for your family so that you can all meet there if separated. If a storm does cause damage to your home or business, don’t hesitate to call your friends at SERVPRO® of Greater Northern Charleston to get the cleanup and restoration process started. Feel free to call 24/7, 843.552.1226. Our professionally trained and certified technicians can help you identify the type of water and how to safely mitigate any damage. It would be much simpler if we could think of all water causing damage as the same, but in reality, there are three different classifications for this water: clean, gray and black. Understanding the differences in these types of water will help you understand how to better handle the situation. This is the easiest type of water damage to clean up after, as there will not be as many microbes living in the water, but after sitting for 48 hours and following contact with the surfaces of a building, clean water then moves up to a category two, which is gray water. With “gray” water, water damage cleanup and restoration will become a bit more serious and involved. It may pose a health risk because it will contain chemical or biological contamination. Gray water can often come from dishwashers, aquariums, showers, etc. Again, the 48-hour exposure time applies here as well because if it is not quickly treated, gray water will turn into black water. Black water is the third classification of damaging water and the most serious of the three classifications. Considered highly contaminated by harmful chemicals and biological matter, it would include floodwaters containing soil and all sewage waters. Remember, when it comes to floods, assume that all water is black water since it will pick up contaminants as it travels along its path. All three of these floodwater classifications are recognized by the Institute of Inspection, Cleaning and Remediation Certification (IICRC), which is an organization that certifies and sets the standard for the cleaning and restoration industry. Our technicians all study IICRC standards and best practices in water restoration and are available to help determine the steps to take to get your home back to normal. Check for road closures when flooding is a in the forecast for Downtown Charleston. 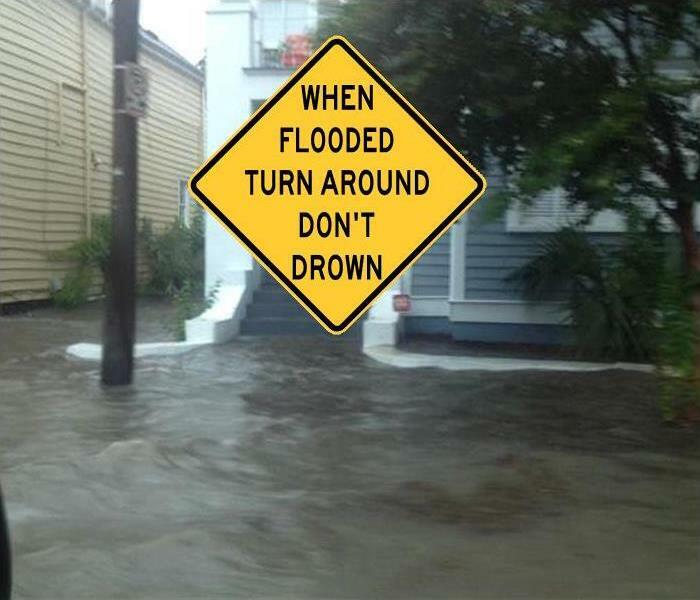 Turn around, don't drown! We have posted the information below in a previous post, but considering the forecast the next couple days, though it couldn't hurt to post again! Got Mold? Professional Remediation Can Help! This mold grew over some time due to a small leak left undetected around the windows of this Goose Creek SC home. We were happy to help! It takes no more than 48 hours after water damage occurs in a home or commercial property for mold to begin to grow. Especially in our warm and humid Charleston, SC climate. That is why if you are faced with water damage and a resultant mold issue, knowing your next steps is very important. We’re sure you’ve seen those ads about mold remediation and mold removal, but the second of these two is false. Removing all mold from a home or business is simply not achievable. A qualified restoration company will, however, focus on mold remediation, setting the achievable goal of bringing mold levels back to a normal and natural level. It is true that mold spores occur naturally almost everywhere, both inside and outside. These mold spores only become an issue when a minor problem is left untreated, which allows the problem to turn into a major problem. The mold remediation process involves technicians isolating the contaminated areas and remove and discard the wet and mold-damaged materials. Any areas that have been exposed to or affected by mold are then thoroughly cleaned and dried. In some cases, a HEPA vacuum may be brought in aid in the removal of contamination and debris. Then the mold-affected area is treated with a biocide and left overnight to kill and destroy the mold spores. If there is a good chance your home or business may have encountered a mold problem, you’ll want to act quickly. 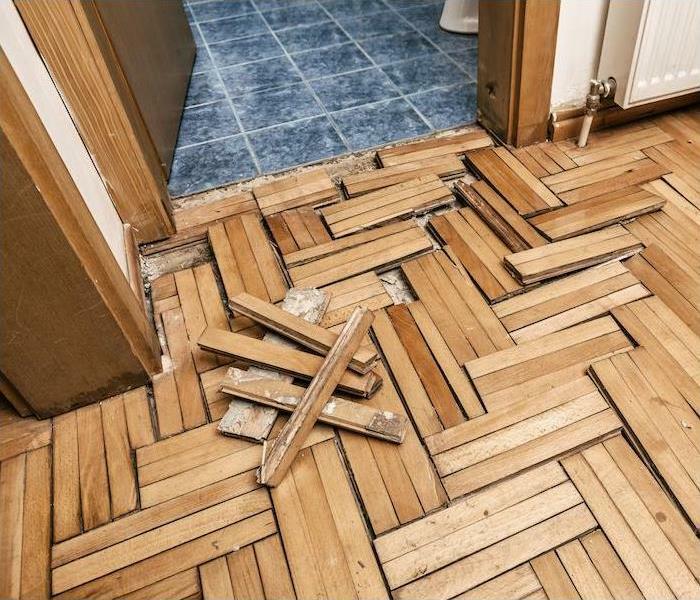 Evaluate the size of the problem, and if the affected area is larger than 10 square feet, it is best to bring in the professionals. 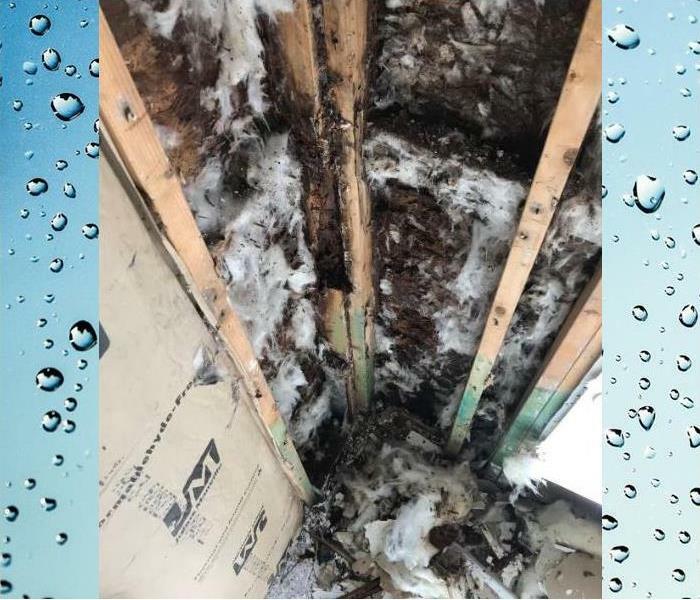 Sometimes, some minor mold issues can be successfully resolved by a homeowner or a business owner on their own, but it is always in your best interest to talk to the professionals to ensure the quickest resolution to the problem. At SERVPRO® of Greater Northern Charleston, our mold damage specialists are trained and certified experts in mold remediation. If your home or business is experiencing a mold issue, contact us to begin the mold remediation process. Do you have a natural disaster plan for your business? Call and ask about our Emergency Ready Program and make sure your business is as prepared as possible for a natural disaster. Floods, hurricanes, tornadoes, wildfires and earthquakes are enough to bring even the strongest business to it's knees when Mother Nature strikes out. However, you can survive in the worst of these scenarios if you are prepared in advance for them. Being prepared is the key to surviving those scenarios, and being prepared means creating a natural disaster plan for your business. Let’s look at some ways to prepare and considerations when designing a disaster plan. There are many checklists that have been created and are available from sources like the Red Cross, FEMA and Ready.gov that can help you identify areas that need to be included in your natural disaster preparedness plan. 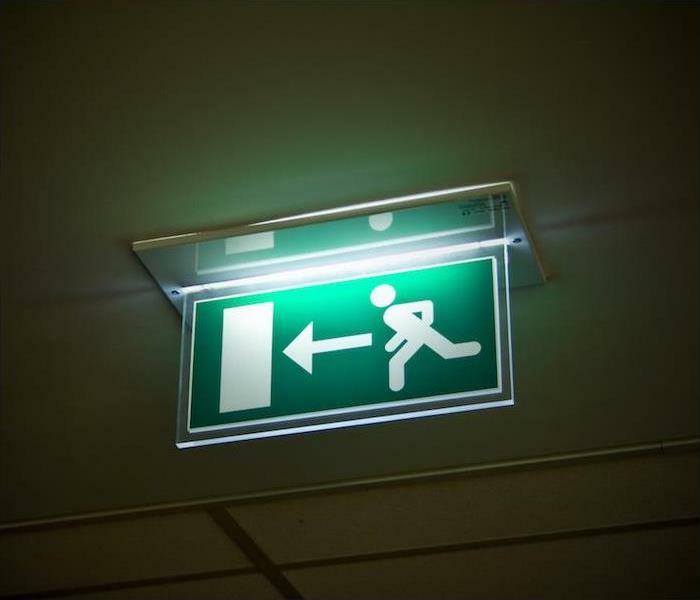 Make sure all evacuation routes and exits from your facility are all properly marked. Have an area that can serve as a shelter space. When choosing a shelter space, the ideal spot is in a basement or storm cellar in the event of a tornado or high-wind situation, but if there is no basement space available, a small interior room on the lowest level of the building like a closet or interior hallway should be your next choice. Designate staff volunteers to be “safety wardens” that are properly trained and ready to implement those procedures and safety measures and to guide and assist in all emergency efforts. No matter the type of location, there will be decisions that need to be made concerning protecting the assets inside of your business' building, like equipment or merchandise, for example. Everything is at risk when a natural disaster strikes but it only takes a bit of planning to minimize damage. Be sure that there is a comprehensive and up-to-date inventory of all items. Whenever possible, have photographs of both structure and contents, taken prior to a disaster as this will be helpful when fling insurance claims. If you store assets on a computer server, ensure that the backup system is regularly backing up all data and look into a storage system like a cloud storage system, which cannot be damaged. If you are the building owner, you should talk with a contractor concerning suggestions for possible safety upgrades and identify any areas that may need upgrading to withstand certain weather situation. Natural disasters can cause businesses to shut down for days or months until repairs can be made and structures are safe enough to enter and resume business. Every day you remain closed is another day of lost profits. By building a relationship with contractors that would be available for repairs and knowing which cleanup and restoration service will be available to quickly respond to your emergency situation, you will be well on your way to doing business again. With SERVPRO® of Greater Northern Charleston, you can count on us to get to the disaster faster and make it "Like it never even happened." Our training and expertise have prepared us to help with water damage, storm damage, fire damage and mold remediation quickly and effectively. Give us a call today to learn how we can help by implementing an Emergency Ready Plan, specific to your business - no contract, no charge. Just our way of helping you be ready for whatever happens. 24/7 ~ 843.552.1226 or use our Contact Us page on the web. Protect your home from wind damage. When you think of severe storms, what do you think of? There are many concerns that accompany severe storms, including damaging winds. These winds, which can come with little to no notice, can cause many long-term structural impacts. Damaging winds can happen in all kinds of storms and have wind speeds exceeding 50–60 mph and can be “birthed” by a strong thunderstorm. You will often hear damaging winds referred to as “straight-line” winds to differentiate the damage from tornado damage. Because straight-line winds can cause loose, unanchored objects to become airborne, the damage from these winds can be especially destructive. 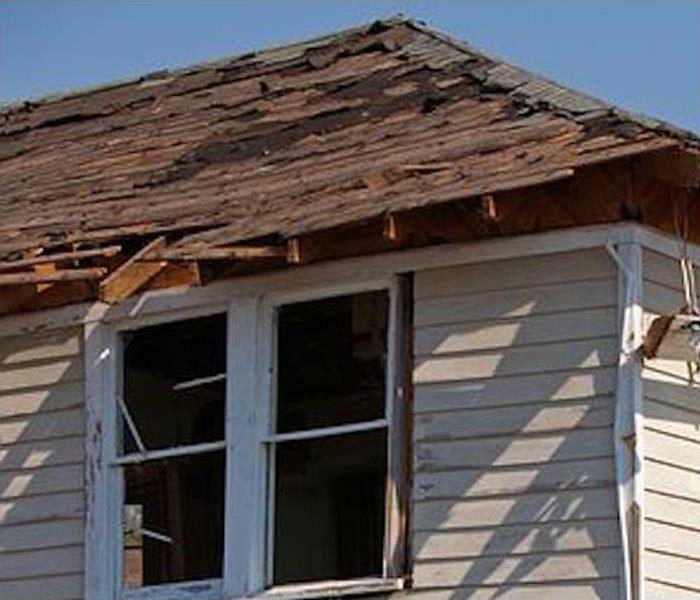 Windows and roofs can take the brunt of this damage, and if extensive enough, wind can also cause water damage to a home as the outside elements are allowed come indoors. Use a professional service to have your garage door reinforced. Properly store or anchor loose objects, such as trash cans, grills and outdoor furniture, on your property that could become projectiles by the wind. Have large or dying trees and branches that could be blown over on your home removed by a professional. Also, when building a new home or renovating an older home, be sure that windows, walls and doors are up to code for your area. If your home should suffer damage from damaging winds and the resulting water damage, the highly trained specialists at SERVPRO® of Greater Northern Charleston are here to help with the cleanup and restoration of your home. 3/28/2019 - Our Job is to be Faster to Any Disaster. 3/22/2019 - What is your Family's Weather Plan? 3/22/2019 - Not All Water Is Created Equal. 3/19/2019 - Turn Around. Don't Drown. 3/12/2019 - Got Mold? Professional Remediation Can Help! 3/12/2019 - Do you have a natural disaster plan for your business?